Spacious fully self contained one and two bedroom apartments as well as the choice of one and two bathrooms (some with a spa). 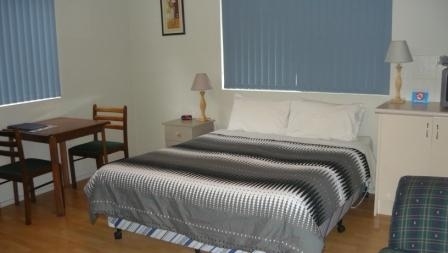 Albany Apartments have one and two bedroom self contained apartments and cost no more than a motel room. Apartment facilities include the choice of one or two bedrooms with one or two bathrooms (some with a spa bath), a fully equipped kitchen with microwave, fridge and gas cook top. Separate lounge/dining area, LCD television with a dvd player, electric blankets, hairdryer, air conditioning (heating and cooling). 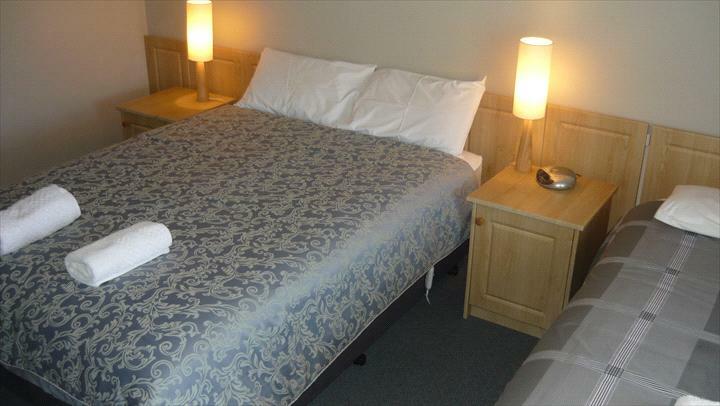 There is also a guest laundry, balconies with outdoor settings and plenty of free parking. 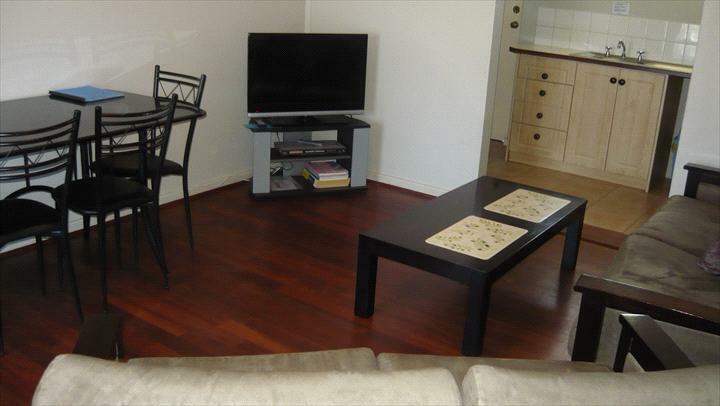 We are centrally located and within walking distance to a shopping centre and one minute drive to the city centre. Please contact Albany Apartments 9841 5259 to organise key collection. Check in time is from 2pm. Check out time by 10am. Sorry, no late check outs are available. Rate is for 4 guests, extra guest including child is $15 per person per night to a maximum of 5 guests. Apartment consists of a separate kitchen with gas cook top,microwave,fridge,toaster,kettle,crockery,cutlery,basic pots and pans. There is a separate lounge/dining area, separate bathroom and two separate bedrooms with a queen and a single bed in one bedroom and two single beds in the other bedroom. Rate is for 4 guests, extra guests including children are $15 per person per night to a maximum of 6 guests. Apartment consists of a separate kitchen with gas cook top,microwave,fridge,toaster,kettle,crockery,cutlery,basic pots and pans. There is a separate lounge/dining area and two separate bedrooms with a queen and a single bed in each bedroom. Both bedrooms have separate bathroom ensuites (one with a spa bath). The rate is for 2 guests. Extra guest (including child) is $15 per night to a maximum of 3 guests. 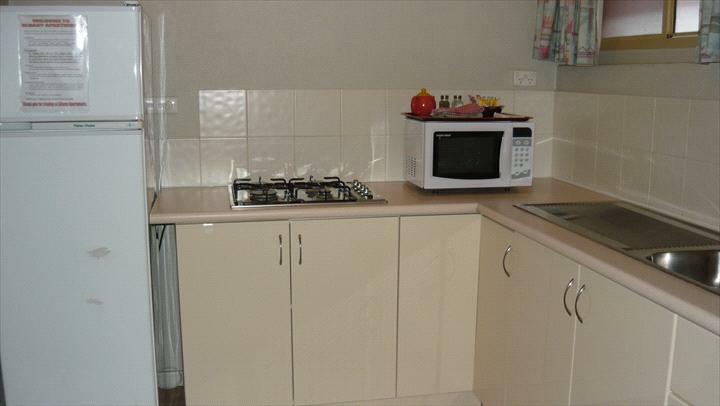 Apartment consists of a separate kitchen with gas cook top,microwave,fridge,toaster,kettle,crockery,cutlery,basic pots and pans. There is a separate lounge/dining area and separate bedroom with a queen and a single bed with a separate spa bathroom ensuite. The rate is for 2 guests. Extra guest (inc child) is $15 per night to a maximum of 3 guests. Apartment consists of a separate kitchen with gas cook top,microwave,fridge,toaster,kettle,crockery,cutlery,basic pots and pans. There is a separate lounge/dining area, separate bathroom and a separate bedroom with a queen and a single bed. The rate is for 2 guests, extra guests (inc child) is $15 per night to a maximum of 3 guests. Apartments consist of a separate kitchen with gas cook top, microwave, fridge, toaster, kettle, crockery, cutlery and basic pots and pans. There is a separate lounge/dining area, separate bedroom with a queen and a single bed and a separate bathroom. The rate is for a maximum of 2 guests including children. 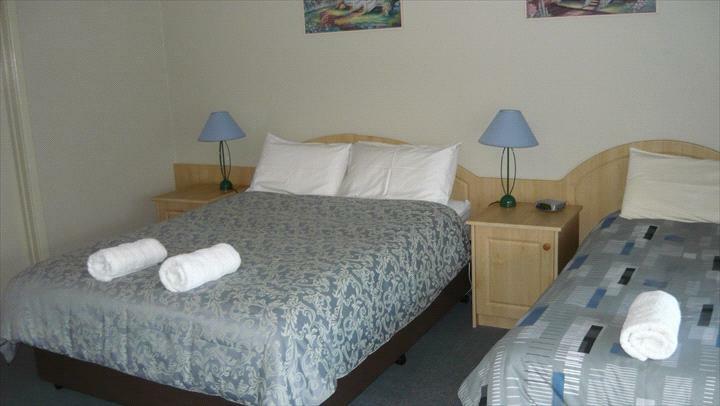 Motel style room with a queen bed and ensuite bathroom. This room is not self contained or serviced daily, however it does include tea/coffee making facilities, bar fridge, microwave, toaster, reverse cycle air conditioning, TV and dvd player. Cancellations or changes to bookings must be made at least 48 hours prior to the check in date and time or you will be charged the full amount of the first changed or cancelled night. In addition there will be a $62 Albany visitors Centre cancellation fee.